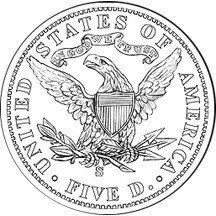 Today I received a notice from the US Mint announcing that the they are taking orders for the San Francisco Old Mint Commemorative Coins. 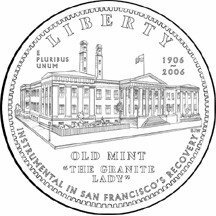 According to the email, “The San Francisco Old Mint Commemorative Coin Program features a silver dollar, with a limited mintage of 500,000 coins, and a $5 gold coin, limited to 100,000 coins. 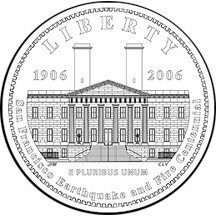 Each coin is available with a proof or an uncirculated finish.” The Granite Lady is noted for surviving the Great Earthquake of 1906. The silver commemorative will be minted in a 90-percent silver and 10-percent copper alloy and will be 1.5 inches (38mm) in diameter. The obverse design is based on the San Francisco Mint Medal by Sherl J. Winter. 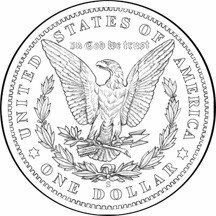 The reverse will use the reverse design of the 1904 Morgan Dollar design by George T. Morgan (remember, the Morgan Dollar was not minted during the period 1905-1920). The pre-issue price is set at $35 for the proof coin and $33 for the uncirculated. After October 17, the proof coin will cost $39 and the uncirculated will cost $35. By law, $10 from the sale of each coin will be donated to the San Francisco Museum and Historical Society. When visiting the Mint’s online catalog, there is an entry for the 2006 United States Mint American Legacy Collection. The set will contain proof version of the 2006 circulating coins and proof version of both the Benjamin Franklin Founding Father Silver Dollar and the San Francisco Old Mint Silver Dollar. This set will be presented in “unique prestigious packaging.” Price is advertised at $135 and will be available for shipping in December. According to the Mint’s Product Schedule page, the next special set will be the American Eagle 20th Anniversary Coin Set. There is no further description as to what will be in that set. Maybe, there will be an announcement this week at the American Numismatic Association’s World’s Fair of Money® in Denver. Stay tuned!